With 8 weeks to go until the Weston A. Price Foundation‘s 2012 Wise Traditions conference, The Appropriate Omnivore kicks off its series of Wise Traditions speakers. The first in the series is Mark McAfee, who runs Organic Pastures, one of the most sustainable farms around. 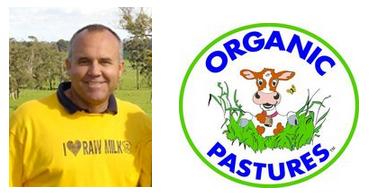 Mark talks about how Organic Pastures operates to make sure that its raw milk is safe for consumers and its cows are treated in the most humane way. He explains why raw milk is healthier than pasteurized milk. Mark also mentions the other products that Organic Pastures offers and how everything they produce has been because of the customers’ requests.